Many people are familiar with Credit Karma’s ads, but is their service truly free? Here’s everything you need to know. You’ve probably seen at least one ad for Credit Karma touting the company’s free services, like checking your credit score, and are wondering if you should sign up. Or maybe you’re curious about how Credit Karma stays free and if you see your full credit report. This review explores those questions and more to help you decide if Credit Karma is the right credit monitoring service for you. Founded in 2007, Credit Karma is a free online service that lets users see their credit reports from two of the three major credit reporting bureaus, Equifax and TransUnion. Because credit scores can (and do) change often, members of Credit Karma get update alerts every week about any changes that could affect their score. If you want to see just the basics of your credit report without it affecting your score, Credit Karma is an easy, free way to do just that. All of Credit Karma’s services from credit monitoring to tax filing are free. In fact, you’ll notice that Credit Karma never asks for your credit card or payment information. Even though you don’t get your Experian report, Credit Karma can help you stay on top of your finances and give you a general idea of your credit score. In addition to credit monitoring, you can take advantage of other services like the tax filing and its Debt Repayment Calculator. Even if you don't consider yourself "technology savvy", Credit Karma's site is straightforward and easy to use. When you get a credit report from Credit Karma you won’t see your FICO score but will instead get your VantageScore. This means that the score you are monitoring on Credit Karma could be different than what your bank or lender sees when they check your credit score. VantageScore was introduced in 2006 by the three major credit bureaus, it is similar to, but different from, FICO scores. VLike FICO scores, several factors are used to calculate your VantageScore including: credit history, age and type of credit, credit utilization, total balances, recent credit behavior, and new credit. You can read more about how the score is calculated here. If you want to see all three of your credit reports, you can go to AnnualCreditReport.com once a year to obtain them. Credit Karma does not have a customer service phone number or a live chat interface, so if you're hoping for instant answers—you won't get them. Depending on the severity of your issue, however, you will likely find your support email answered relatively promptly. You can also choose to get help from other Credit Karma users via a Q & A style forum. What Services Does Credit Karma Offer? Credit Karma compares credit cards from dozens of companies to give you the best possible reviews and recommendations. This is a great service if you are building new credit or rebuilding your existing credit. Credit Karma also monitors your TransUnion credit score for you daily and notifies you of any significant changes to it. You can also connect your bank and loan accounts to Credit Karma and get access to tools that help you track and analyze how you spend your money. You can also optionally set alerts to remind you when a bill is due. Recently, Credit Karma also started offering a free tax return service. Credit Karma calls this service "truly free tax returns" and insists that there are no upsells and no hidden fees (as opposed to many so-called free tax return offers). For example, with TurboTax online, you could fill out your return for free, but then you were charged to file or print your return. This service will help you determine which lower interest credit cards may be available to help you refinance high interest credit cards into a potentially lower rate. Credit Karma has a number of helpful tools beyond its free credit monitoring and credit reports from two major bureaus. With these tools, you can see how certain actions affect your credit score, how your credit score compares with others across the country (completely anonymous) and how much home you can afford if you are considering getting a mortgage. The credit score simulator will help you see how your credit choices can affect your score. It does not actually affect your score—but helps you understand the "what ifs" of your credit decisions. For example, what might happen if you get a new loan, transfer balances to a new card, open a new card entirely or close an old credit card account? You can use the simulator to see how these items and many more affect your credit score. These calculator tools are available free of charge to Credit Karma members and let you test out different "what if" scenarios to find out what you can afford and by when. Home Affordability Calculator shows you how much you can realistically afford to pay for a home. Debt Repayment Calculator helps you figure out how long it will take you to pay off your credit card debt. Simple Loan Calculator determines the payments you'd make for different types of loans depending on the terms. When you create an account with Credit Karma, you give them a lot of personal information. 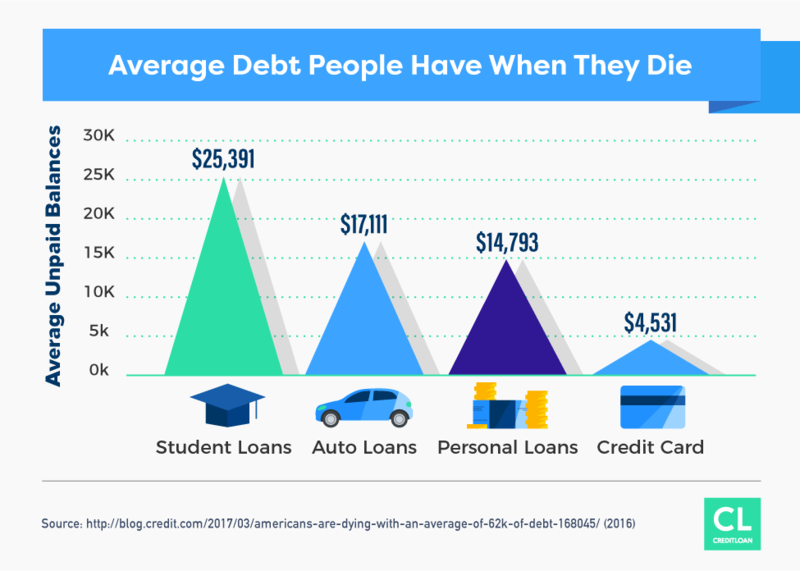 Based on this, Credit Karma recommends credit cards and other services that may be right for you based on your current credit situation. If you follow through and apply for one of those offers, the bank or lender pays Credit Karma. Credit Karma does not sell your information to other credit card companies. How Do I Use Credit Karma's Services? Credit Karma is easy and fast to sign up for. Through their website, you simply answer a few basic questions to start the account creation process. How Do I Monitor My Credit Reports and Scores? Credit Karma's credit monitoring service monitors your TransUnion credit report for you and updates it each week with any changes. You can check your communication settings under your profile page to ensure this monitoring service is enabled. It costs you nothing. You can also check your credit reports for errors at any time free of charge. What are Some of the Strengths of Using Credit Karma? Credit Karma offers a number of advantages over going through the time-consuming hassle of getting your credit reports individually from the three major bureaus, or going through a questionable "free credit score" service. Just like in school, your credit is "graded" by Credit Karma, with designations of A-F for excellent to poor credit respectively. This lets you see precisely how good your credit is, or if it needs some work. There are no cumbersome reports to wade through and no difficult language to decipher. The system is very straightforward and easy to understand, and you can see just how much your credit changes on a week to week basis. You may be surprised at what you see! Credit Karma provides you with scores from two of the three major credit reporting bureaus, Equifax and Transunion. Even going to these two sites individually will try to rope you into their credit monitoring and related services (which both have a cost). Save yourself the trouble and avoid entering your credit card number completely by getting your scores directly from Credit Karma. One of the ways in which Credit Karma "grades" your credit is by way of an "on time payment percentage", which is as you might expect, the percentage of on-time payments you make. The more you do this consistently, the better your grade improves. Credit Karma even tells you whether or not your payment history would improve in a certain timeframe with the payments you make – which can be a great motivator for many people to improve their credit. Through its free credit monitoring service, Credit Karma can alert you to any suspicious activity on your credit reports. You'll need to create a Credit Karma account to take advantage of this free service. For example, hard inquiries could be a sign of potential identity theft – someone opening up accounts in your name can ruin your credit. Credit Karma can send you email or mobile alerts when this happens, letting you take action quickly. Unlike most "free" credit report and "free" credit monitoring services that require your credit card in order to see your score (then sign you up for a full year of monitoring – billing the entire amount up front so you have little recourse to back out of the agreement), Credit Karma does not ask for or require your credit card or bank information in order to see your report or get credit monitoring. This helps give you more peace of mind that the service is free – precisely as the company says it is. What Are Some of Credit Karma's Weaknesses? Not every company is perfect, and there are some consumer complaints and concerns about Credit Karma, as you might expect. We've laid them all out for you here, so you'll know what to prepare for ahead of time. Many lenders use the FICO® score by Fair Isaacs Corporation. This credit score calculation was created in 1956 to help lenders better understand a customer's credit-worthiness. Of course, being that the system is decades old, and many lenders like banks and financial institutions are resistant to change, they still use this calculation in many cases when determining whether or not to approve you for a loan or other credit. The VantageScore used by Credit Karma is a much more modern (2006) calculation algorithm that some lenders are finally warming up to. It takes into account many of the things that a FICO® score does not, such as a broader range of credit-related information and the ability to look back well beyond the standard 2 years of credit data to determine your score. So the concern is that many lenders are still using the old-fashioned FICO® score over the newer VantageScore. AnnualCreditReport.com website once a year. This way, you'll have both numbers and can better gauge your ability to apply for credit. In this digital age where on-demand and always-on are reflections of real life rather than buzzwords, it can be a comfort to many people to have the option to chat live with a customer support specialist. Unfortunately, Credit Karma does not currently have this option. All support inquiries are handled exclusively over email. When it comes to determining your credit score or finding out what's on your credit report, you may still have many questions. Credit Karma does not ask for your credit card information for any of the free services it provides, including your credit score or credit monitoring. Because they don't ask for this information, they have no way to charge for it. Some people may be reluctant to complete the process because Credit Karma does ask for your social security number—but this is only used to pull your credit report. What is Credit Karma's BBB Rating? Credit Karma is not currently BBB accredited. It's worth noting that the BBB is not a governmental organization and exists solely as a ratings/review platform (albeit, a very well-known one!). Does Credit Karma Run My Credit Score or Affect My Credit Score? There are two types of items that appear on your credit report. The first, known as a "hard pull" is when a lender gets a detailed look at your credit information in order to determine whether or not to approve you for a loan (like a mortgage or car loan) or a credit card. These "hard pulls" can knock your credit score down a few points, particularly if you have several of them within a short timeframe. There are also "soft pulls" which are like "glances" to your credit report and score. This is the kind of pull that Credit Karma and other legitimate credit reporting services do. It does not affect your credit score. What Are The Most Common Complaints About Credit Karma? Consumers often seek out review sites, such as the Better Business Bureau and other online services to voice their complaints if they feel that they aren't getting the help they need in a timely manner. The most common complaints about Credit Karma are in regards to its tax services, with consumers wondering whether or not their form submissions went through correctly or those who were having trouble using the site in these cases. which further exacerbates their frustrations. Many consumers understandably don't like giving out personal information on any website – and particularly not their social security number. The issue however, is that this is needed in order to get their credit score. There is no other method to obtain it than by using the user's social security number. In some cases, the report you don't see (from Experian) could be the one that's most important to you. In a few instances, customers were denied loans or other credit applications because of issues on their Experian credit report. Since Credit Karma does not provide this information, the users falsely believed they would get approved based on the details from Equifax and TransUnion alone. Getting their score from Experian could have resolved the issues. Many consumers enjoy the convenience and ease of use that widely available email services like Yahoo, Hotmail and Gmail provide. However, in some cases these email addresses were hacked. Unfortunately, these same email addresses were tied to users' Credit Karma accounts. In cases like this it would be reassuring to be able to contact customer service via a phone number. But since email support is the only option, customers find themselves waiting and waiting to hear back from what is understandably a legitimate concern. Is Credit Karma Safe to File Taxes? Unlike with TurboTax and other online tax filing systems, Credit Karma does not charge you to submit your tax forms. It even includes tax forms beyond the standard 1040/1040 EZ and includes many of the forms that LLCs and the self-employed use to file their taxes. This makes it very attractive to entrepreneurs, landlords and small home-office users who typically could not use free tax filing services in the past. And although the service is free to use and secure, it was only launched in January of 2017, which means there may still be some quirks left to iron out in the online interface. Users who are experiencing trouble filing their taxes through Credit Karma are encouraged to use the online support system through email. How Often Does Credit Karma Update the Scores? Credit Karma updates your credit score every seven days. You may not think it would change much in that timeframe, but you could be surprised. Continuing to pay your bills and loans on time, taking out less than your available credit, and paying down your largest loans first can all make a significant impact on improving your credit score over time. How Accurate is Credit Karma's Credit Score? Here, it's important to define what's meant by "accurate". Because Credit Karma uses VantageScore—a different method of calculating your creditworthiness than the traditional FICO® score, there may be several points difference – and likely tipped in your favor. This is a great boon for your self-confidence, of course, but since not all lenders use VantageScore as a means for approval, your credit score numbers may be quite a bit different between your VantageScore and FICO® score. Although more and more lenders are choosing the VantageScore, if you are concerned and want to see the full picture of your credit score, it may be worth getting your FICO® score as well. Why Does Experian Not Show in Credit Karma? Credit Karma does not currently have an agreement with Experian to show the details from their assessment of your credit score. Users are encouraged to consult with the Experian website directly if you wish to obtain your Experian score. Why Are the Scores I See on Credit Karma Different from FICO? 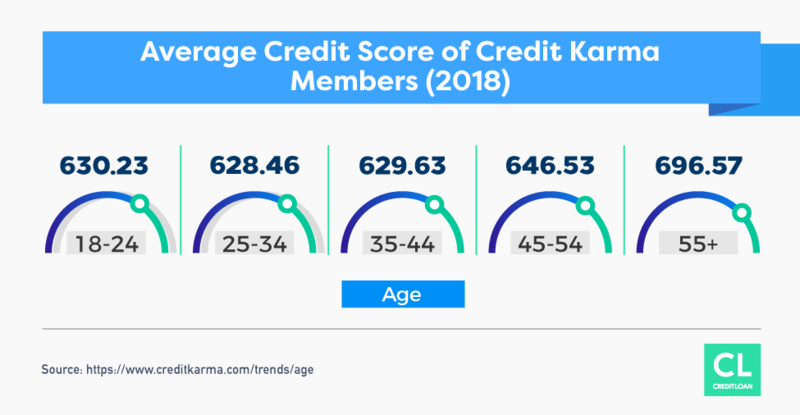 CreditKarma uses the VantageScore, a more modern and updated series of calculations and algorithms developed by the three major credit bureaus, to determine a consumer's credit-worthiness. The FICO® score has been around since 1956, and as you might imagine, finance and technology, as well as credit and lending opportunities have changed dramatically since then. While many lending institutions are slow to warm up to new technology, it's common for them to still rely on the FICO® score as a measure of one's "lend-ability". While there's nothing wrong with choosing one or the other, it's worth noting that there are hundreds of potential outcomes for your credit score numbers depending on which items your particular lender gives the most weight to in terms of their assessment of your application so it's not as simple as choosing a FICO® score over a VantageScore or vice versa. If you're concerned about your creditworthiness, it's a good idea to get both, just to see the big picture of your credit overall. Keep in mind, depending on the type of loan you're considering applying for, your lender may use the FICO® score. As every lender is different and has their own preferences, there is no "one size fits all" approach. Can I Print My Credit Score Off of Credit Karma's Website? While some companies let you see your credit score, but charge you money for the "privilege" of printing it, you can easily print off your credit score numbers from Credit Karma's website. To do so, simply go to the report summary page, which provides links to your TransUnion and Equifax credit reports respectively. When you get to your report, simply click "Print This Report" in the upper right corner of the page, under the date of the report. How Do I Delete My Credit Karma Account? Should you decide to delete your Credit Karma account, keep in mind that you will not be able to create a new login on the site for six months. Choose "Cancel My Account and it will prompt you to log in if you haven't already. If you haven't logged in, you'll be shown the same screen where you'll need to again, scroll down to the "How Can We Help?" / Cancel My Account choice. After selecting "Cancel My Account, it will prompt you with a "Get Started" message and let you know that you are about to cancel your account. You'll need to click "Account Cancelation". You'll get a confirmation message in red that reads "Confirm Cancelation". Once you hit the confirm, the system will ask you to log in once again. When you try to, it states "This Account Has Been Deactivated". A request to cancel your account. This is very important! Hopefully, this detailed article has provided you with some guidance on whether or not to get your free credit report from Credit Karma, or given you an alternate way to fill and submit your taxes online. By displaying the pros and cons, as well as common questions people have about Credit Karma, it is our hope that you'll be able to make an informed decisions that will help you enjoy greater financial understanding. Considering all of the tools that Credit Karma makes available to its users free of charge, in addition to the credit monitoring and reporting services it offers, you simply can't beat the price. In addition, you can use this information to become better educated about your finances and the impact your decisions can have on your credit score – both today and well into the future. Whether you're considering buying a home, applying for a car loan, or you need to rebuild your credit, Credit Karma has the tools, community and reputation to help you make the most of your financial situation. Try them out today and see where your credit stands, and what you can do to improve it.